What type of computer system do you have? Is it a gaming rig? Is it a system configured for office applications? Or is it simply a beast? Well, it doesn’t really matter how good your system is unless you have a great speaker system attached. 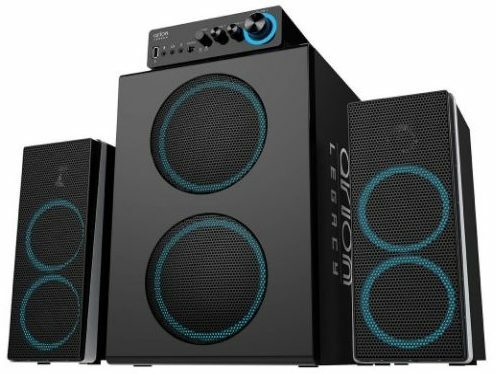 Also, you don’t necessarily need an expensive speaker system because you can get an excellent audio experience with the best budget computer speakers under $200. We’ve picked a few budget computer speakers under $200. However, wouldn’t you want to know what the factors to be considered while choosing a great computer speaker are? I’ll bet that you surely want to know those! It would surely help you decide better for yourself. The higher budget you go for, the better you would probably end up getting. So, without aiming for the high-end stuff, you need to fix a budget within which you would be looking to get a computer speaker. 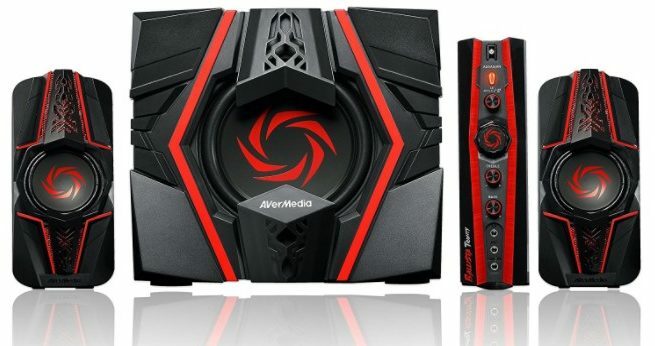 For instance, here we take a look at the best budget computer speakers under $200. 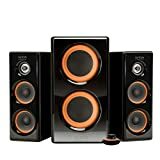 Before you decide to go for your favorite budget computer speaker, you’ll have to think whether to get a wired set of speakers or wireless. If you want to give your desk a clean look, a wireless speaker system could be a better idea. But, if you know how to organize your cables for a clean desktop setup, a wired set of speakers shouldn’t be an issue. Do you want a front firing speaker or a speaker system with surround sounds included? If there’s an addition of surround sound system with your computer speaker, you will probably get a richer audio experience. As an additional tip, I would suggest you opt for a surround sound system only if you have a large room. It’s always convenient if you have a remote to control your speakers. In either case, well-positioned buttons which give you a complete control of your speaker are a bonus as well. It is not always about the sound you get with a speaker, even smaller speakers tend to offer a rich audio experience. If you want to save more desk space, a small set of speakers should be enough. Now that you know of the factors you should consider while making your decision for a perfect computer speaker let us get to know some of the best budget computer speakers under $200. Kilpsch Pro Media is a fantastic three-piece computer speaker system under $200. It features a 2.1 channel. The Klipsch Pro Media comes with a price tag of $149. It boasts a 200-watt amplifier which produces some really powerful audio. You can utilize it as a computer speaker or connect it to a smartphone as well. You get a headphone jack for headphones and also a mini plug if you have a related accessory to use. It delivers rich bass and clear voices as well. It is surely one of the best budget computer speakers out there. Check it out now. 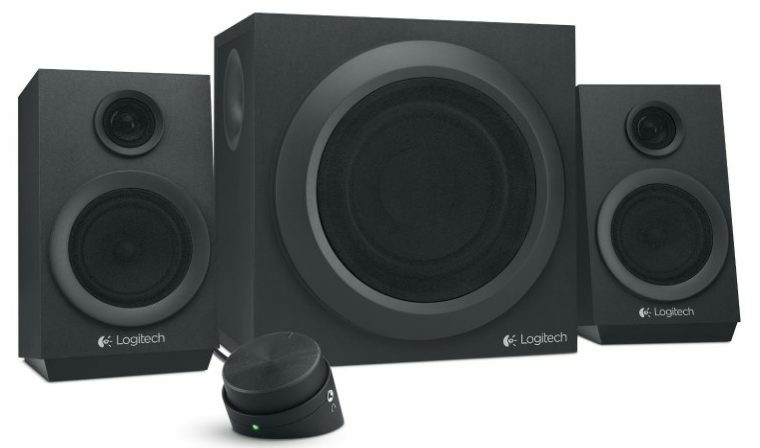 Logitech Z623 speaker is yet another popular choice as a budget computer speaker under $200. The Logitech Z623 will cost you $119. If you have a budget of $100, I’ll recommend you to save a couple more bucks to get this one. It is totally one of the bang for your buck computer speakers. It features a different design language as compared to the previous one. If black is your favorite, this should be an interesting addition to your desk. It delivers great quality audio. You may not find much clarity for voices, but it sure is loud enough with rich bass. Of course, there would be trade-offs, but in the end, you’ll have to pick comprising at least some of the desired features if you are on a budget. 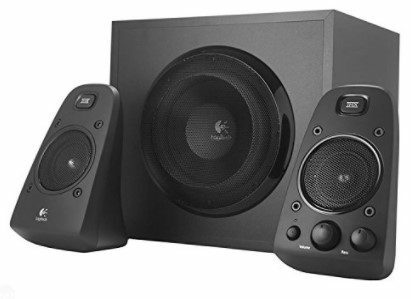 Read more about Logitech Z623 Speaker. 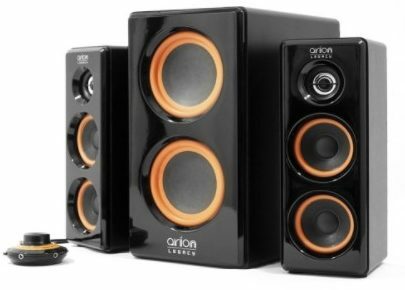 If you want a big set of computer speakers under $200, Arion legacy is the way to go. It isn’t just big; it also offers some powerful bass. If you’re planning for a solid music desk setup without breaking your bank, grab this one. The Arion legacy is loud enough to accommodate a large room as well. Unfortunately, you wouldn’t get a pristine clarity as you would expect with a high-end set of speakers. So, if you are a casual audio listener, not a professional audio enthusiast, this would cost you $124.99. Dell A525 is a futuristic looking pair of speakers. It comes packed with a subwoofer. The set of speakers are small enough but deliver powerful bass. It would cost you $199. And, it indeed is a set of high-end stereo speakers under $200. It is the most favorable speaker system if you already have a silver theme going on with your desktop. It is compact, powerful, and stunning to look at. Bose is known for quality music products. However, mostly considered expensive. It does offer some budget products as well (but few). 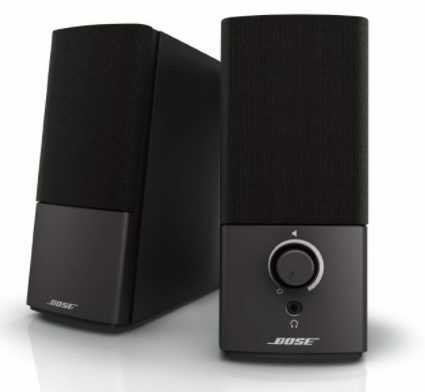 Here, we have a $99 product i.e., Bose Companion 2 series. 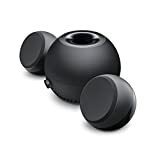 It is a nice little addition to your desktop as a beautiful set of speakers offering powerful sound. I must say, I’m impressed with the bass you get with this speaker system. It indeed is one of the best budget computer speakers under $200. Fret not; we’ve got your back if you are looking for more cheap offerings with potentially good audio experience. Logitech Z333 is such a product which you can get it for just $59.99. It comes with built-in front firing subwoofers. You can easily control the bass level with the help of bass control knob. It is a great budget alternative to some of the high-end computer speakers if you want to enhance your gaming experience. It’s surprising how you get a great audio quality for such a cheap price from a big company. Are you a person who looks for a speaker only to enhance gaming experience? It refers to a preference where you do not care about the clarity of music or the deep bass. 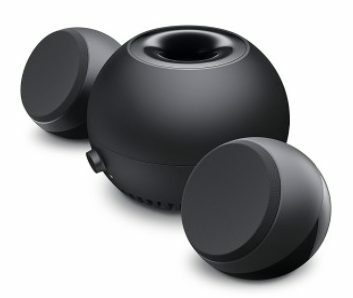 If you simply want a stylish looking pair of computer speakers with impressive sound quality aimed at a better gaming experience, this is it! The Genius SW-G2.1 would cost you $72.99. It’s a bit more than Logitech’s offering. But, you won’t find an alternative considering its look and design in the same price range. This speaker system would simply compliment a desk setup with RGB lights installed. We’ve seen Arion’s high-end computer speaker models under $200. Here, we get a decent offering for under $100. The Arion Legacy AC costs you $64.99. It’s a very nice speaker system if you are looking for a really cheap product as a studio speaker product. It delivers a good quality music suitable for beginners in music production. Also, it suits music production then it should be good for entertainment! 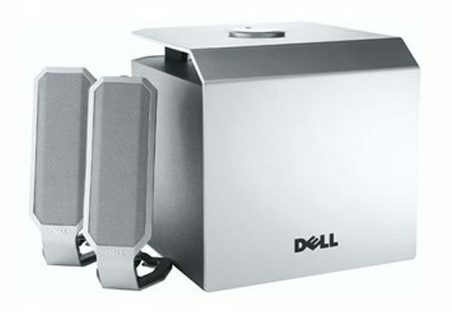 Dell V4J8D is a unique speaker product from Dell for your computer. If you want a multi-purpose speaker system which should be easily detachable and portable, then this should be a perfect choice. It’s small, cheap, and delivers quality audio. It would cost you just $61.50 from Amazon. It indeed is one of the smallest yet one of the best budget computer speakers under $200. If you do not want to break your bank but want an incredibly good budget gaming speakers for your setup, we’ll recommend getting this one. It looks great! As far as you see it, you could think of a higher price for a speaker which looks this good. Well, for the shocking fact, it costs you just $116. But, of course, a cheap product doesn’t mean a bad product! It has got great reviews on Amazon from certified buyers! Grab it while you can! It’s a transformer! Who knows, eh? Which is the Best Budget Computer Speaker Under $200? Now that you got to see some of the best budget computer speakers under $200, if you pick any of the product listed above, you should be good to go! Did you try any of the products listed above? If yes, let us know your thoughts in the comments below. Thanks Abhishek for such a nice article. It is really helpful. 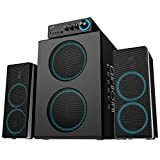 I like this one Genius SW-G2.1 2000 2.1 Channel 45 Watts RMS Gaming Woofer Speaker System. Great list of computer speakers under $200.